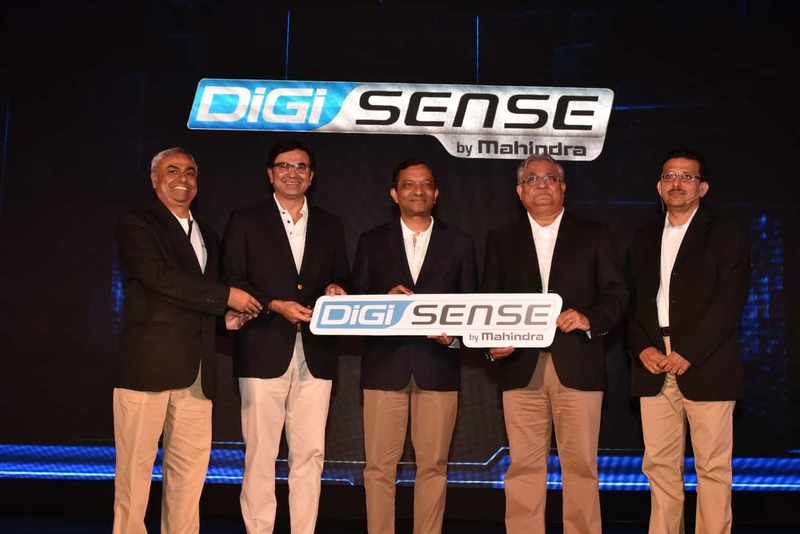 Mahindra & Mahindra Ltd announces the launch of Mahindra DiGiSENSE that connects Mahindra vehicles, tractors, trucks, and construction equipment to the cloud, opening up a whole new dimension to the experience of vehicle ownership. DiGiSENSE which is digitally enabled sensing will be available across Mahindra’s breadth of mobility products from commercial and passenger vehicles to tractors and construction equipment. Its launch makes the company the first OEM in India to integrate its product line-up onto a cloud-based technology platform. DiGiSENSE empowers owners, fleet operators, drivers, dealers and service teams to access vital information about their vehicles, trucks, tractors or construction equipment on a real-time basis from the driver’s seat and afar. DiGiSENSE will empower customers to digitally build knowledge 24X7 about the performance and location of their vehicles. Drivers can contact emergency breakdown services or pull up a route planner at the touch of a button, fleet owners and dealers can track the location of their vehicles in real time, while remote diagnostics and reports allow service teams to monitor the vehicle’s health and productivity parameters, on a real time basis. DiGiSENSE will initially be available in the Jeeto and Imperio in the small commercial vehicles space; the Arjun Novo in the tractor space; the Mahindra Blazo in the heavy commercial vehicles space; and the Earthmaster in the construction equipment space. One Solution with Multitude of Applications: In DiGiSENSE Mahindra has created a unified, cloud-based technology platform for its entire mobility sector. The same platform is customized to suit different applications and different sets of customers while providing a seamless and unified Mahindra experience. A customer owning different Mahindra vehicles will still have the same user experience with individual and unique customizations. Ecosystem Orchestration: Mahindra will be the first Indian OEM to have created an ecosystem of technology partners like cloud service provider, map provider, telecom network provider, hardware manufacturer and other third parties. Keeping Pace with the Times: “DiGiSENSE” is an open-architecture platform that will be upgraded on a periodic basis. Seamless Feature Upgrades: Customers will constantly be upgraded to the latest versions of DiGiSENSE over the cloud without ever needing to step into a showroom or dealership, similar to software upgrades on mobile phones. Redefining Service Paradigms: With DiGiSENSE, Mahindra will be taking the next step towards redefining service paradigms the digital way. It’s an attempt to get closer to the customer by offering value added services directly, “then & there”, and enhancing the overall customer experience.